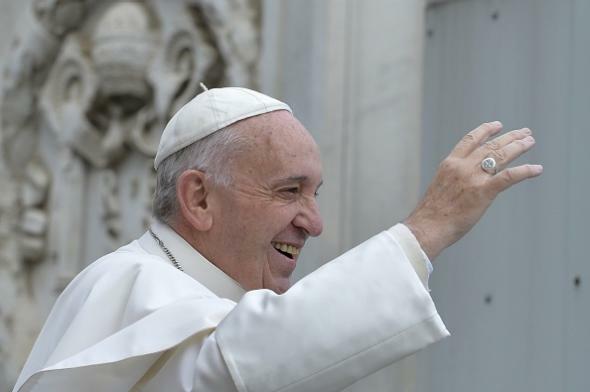 Pope Francis met with gay couple before Kim Davis. Pope Francis in St. Peter’s Square on Sept. 30, 2015, at the Vatican. In an exclusive interview with CNN, Grassi declined to disclose details about the short visit, but said it was arranged personally by the Pope via email in the weeks ahead of Francis’ highly anticipated visit to the United States. This pope—he’s here, he’s there, he’s meeting with gay people, he’s meeting with straight people, he’s all over the place!